Hello everyone. 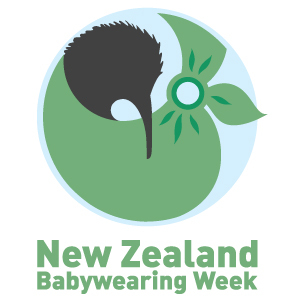 We’re on the countdown to New Zealand Babywearing Week (6 – 14 October 2012) and are looking forward to celebrating with you. Over the next two months we’ll be offering giveaways from some of our sponsors. The next giveaway will be drawn once we reach 1100 page members over on the New Zealand Babywearing Week facebook page. 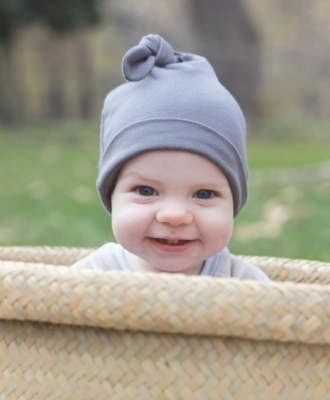 From Moby Wrap NZ – one Moby Knot Hat (RRP$8.50) in winner’s choice of colour in size 0-6mo. These super cute hats are made from 100% natural cotton. From My Natural Baby Ltd – a pair of Huggalugs Nubies (RRP$18.50) in winner’s choice of design. Nubies by Huggalugs are babies first legwarmers. They are also great on older kids arms. Perfect for an extra layer of warmth for your new person, for keeping legs warm during middle of the night nappy changes and they are super cute! To be in with a chance to win, join us over on the New Zealand Babywearing Week Facebook page – that’s it! Simple, easy. A winner will be drawn randomly once we reach 1100 likers on the page. (Open to NZ residents only). Like the My Natural Baby Facebook page. (Moby Wrap NZ does not have a Facebook page). Update your Facebook status with the following: “I’m in to win with @New Zealand Babywearing Week, @My Natural Baby and Moby Wrap NZ”. You will need to ‘like’ both New Zealand Babywearing Week and My Natural Baby on Facebook for the tags to work and remember to make sure your update is shared as ‘Public’. To do this click the drop down menu to the left of the ‘post’ button in your status update section on your wall and choose ‘Public’. Leave a comment under this post to let us know which Moby Knot Hat colour and Huggalugs Nubies design you will choose if you win. This entry was posted in Giveaways and tagged baby carrier, baby hat, baby sling, babywearing, giveaway, Huggalugs, Huggalugs Nubies, international babywearing week, leg warmers, Moby Wrap Knot Hat, New Zealand Babywearing Week. Bookmark the permalink. I would choose the Moby Knot Hat Sand & Huggalugs Nubies – Baby Rocker! Blossom for the Moby Knot Hat colour and Baby Fairisle for for the Huggalugs Nubies design please! Think my original reply vanished. They are all so lovely that it would be hard to select one. But I do like the Forest in the Moby hat and the Baby Racer in the Huggalugs. Moby Knot Hat Almond 0-6 months and Huggalugs Nubies – Baby Buckaroo please! Moby Knot Hat Blossom and Huggalugs Nubies – Baby Hearts Thay are all soo cute tho.